Bertucci’s is a chain of Italian restaurants located all over the country from New England to Virginia. It features a brick oven in each location, giving that rustic Italian taste to the pizza’s and other dishes they serve. The first restaurant opened its doors in Somerville, Massachusetts in 1981. Its founder, Joseph “Joey” Crugnale opened the original one two doors down from one of his ice cream stores to prevent a competitor from moving in. It operates over 80 restaurants all over the country employing hundreds of dynamic individuals. Despite not relying mostly on word of mouth advertising rather than traditional marketing techniques, it was hailed as one of America’s top ten pizza restaurants in its early years. Eligible employees get a competitive compensation package, including paid holidays, medical and dental coverage, 401k and 529 plans. Both full-time and part-time employees also get meal discounts, allowing them to enjoy the foods with their friends and family. Employees enjoy working at the restaurant as they are treated as one of the family. The work environment is team oriented, dynamic and supportive. The restaurant chain also offers development programs for eligible employees. How old do you have to be to work at Bertucci’s? You have to be at least 18 years old to be eligible to apply and work at any of Bertucci’s branches. Kitchen Worker – assists the kitchen staff to ensure that dishes are prepared promptly without compromising taste and quality. The kitchen worker prepares ingredients and equipment so that cooks can work more efficiently. Server – responsible for ensuring that diners have a great experience at the restaurant. Explains the menu, addresses any questions customers may have, takes orders and delivers the food from the kitchen in a timely manner. It requires someone with great customer skills and who can work under pressure. Delivery Driver– in charge of ensuring that orders are delivered to the customers’ addresses from the stores in a timely manner. This job requires great time management skills. 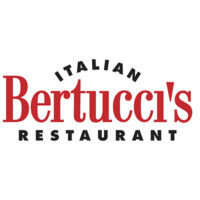 Management and corporate positions are also available at Bertucci’s. Some of the employment opportunities include culinary manager, hospitality manager and benefits and compensation manager. For hourly positions such as servers, host/hostess and bartender, you just need to go to the nearest location to apply. Store managers can help you with your application. You can also email your resume in and indicate the position and location you are interested in. Management and corporate positions are processed online. Simply visit the career portal and create a profile to apply. The application form is a crucial part of your application. Interviewers will use the details you put in to evaluate if you can do the job you are applying for. Pay attention to the information included in your resume. Make sure to list all relevant previous jobs and skills. This helps managers determine if you are the best fit for the job. Getting interviewed at Bertucci’s is an informal process. However, you need to make sure to dress appropriately. Prepare for situational or hypothetical questions and practice your responses beforehand. Bertucci’s takes pride in its attention to quality. From the tomatoes used in the sauce to the herbs and garnishing, only the freshest ingredients are used. The vibrant environment at each store creates a rustic feel, making diners feel right at home. The restaurant chain had always opted to promote its brand through happy customers. However, it has been featured in local news with their recent renovation and grand reopening. It is known for having a rustic and functional brick oven in each of its locations. It prides itself in having a fire in every restaurant, symbolizing the hearth of a home. Bertucci’s understands the importance of giving back to the community. Its program “Dining for Dollars” helped raised funds for numerous non-profit organizations.